Home > Marketing > How do I delete an autoresponder series? Q.How do I delete an autoresponder series? To delete an autoresponder series, navigate in the Shop Manager to Marketing → Autoresponder series. 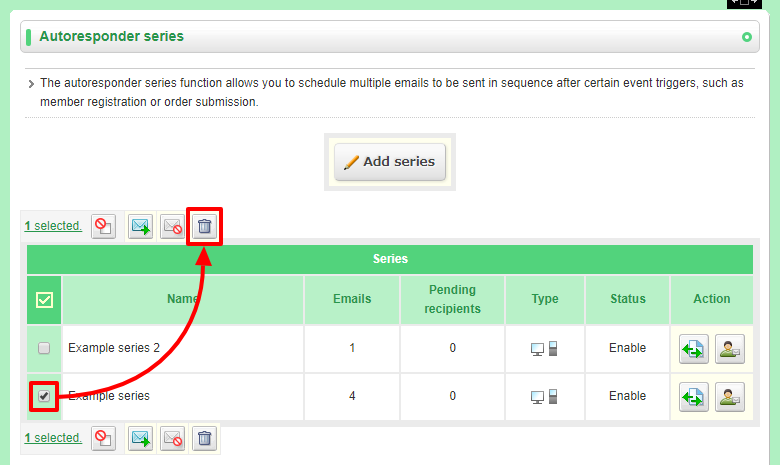 In the list of autoresponder series, select the one you wish to delete and click the (Delete) button.